HSC students are active and responsible citizens and learners. Our students are challenged through multiple pathways: traditional classroom, online courses/resources, extra time in the afternoon, and out of school experiences. Students maintain academic rigor by developing independent course-specific skills, evaluating data and evidence and communicating clearly, concisely, and accurately. Based on our practice of setting high expectations for all students, HSC offers a rigorous high school curriculum enhanced by electives and arts classes, college courses, seven Advanced Placement (AP) classes, independent study opportunities, and co- and extra-curricular experiences. Assessments with real world applications as well as traditional assessment models are used to measure student learning. Students who seek academic challenges are a perfect fit for HSC. HSC students identify and develop their individual passions, from creating change in public policy or internet neutrality to community safety and the rights of citizens in our community. Our students have the ability to do this through a number of avenues integrated into our classes and school culture. We believe every student has the potential to reach great heights. We are passionate about students and their achievements. From teachers being called by first names to discussions about which course selections would benefit individual students the most, we build relationships with students and help guide them in their journey to unearth their own passions. Using project-based and personalized learning, mastery, and seminar courses, just to name a few, we foster student academic excellence by bolstering student strengths and enhancing students’ skills into which they haven’t yet tapped. By embedding these opportunities into our curriculum, culture, and programs, students can access them and receive the support they may need for the various ways they can lead not only each other, but eventually our community and the world. HSC is the small school for students who want to do big things. Our students look at themselves, their community, and their world and dig deep to determine how they can make it better. 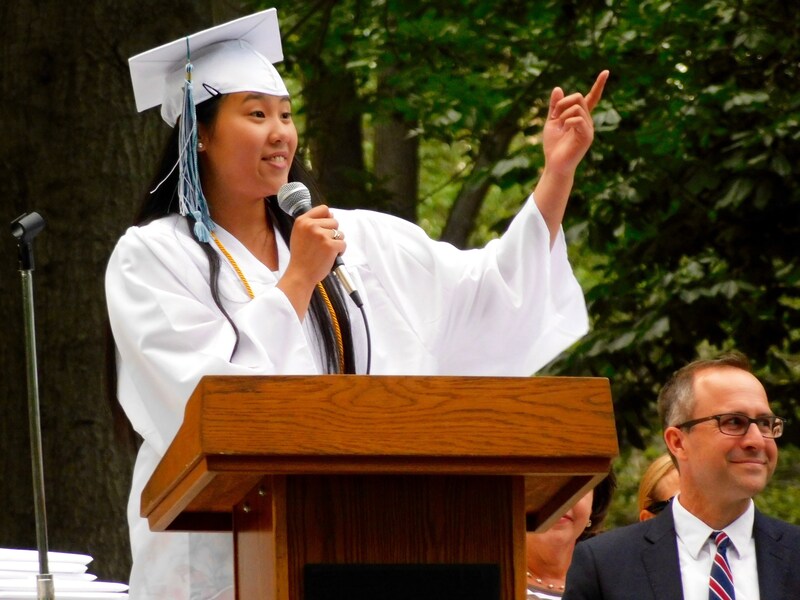 Through a rigorous curriculum and school culture focused on leadership, social justice, and public service, our students create the change they wish to see in the world. 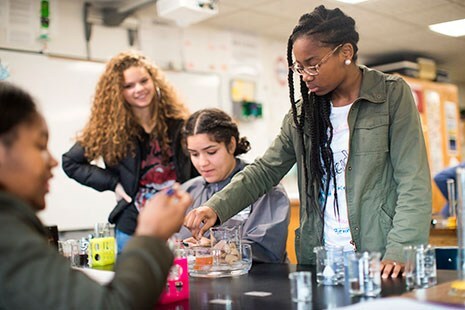 By accessing HSC’s unique and progressive educational methodology, students both from New Haven and throughout the state choose HSC to create a positive view of their personal future. We offer a myriad of diverse opportunities for an innovative education, ranging from personalized learning to College Before College. Our two benchmark assessments in 10th and 12th grades, the Social Justice Symposium and Project HSC, demand students put learning into action. In partnering with community resources and organizations both in and out of the classroom, HSC is the choice for students looking to make a change in the world while gaining experience in it. The HSC experience is a series of explorations and learning moments that ask students to take ownership of their learning while thinking critically about the world around them. Students develop skills that allow them to make an impact as productive citizens and as active leaders preparing them for life Beyond HSC. 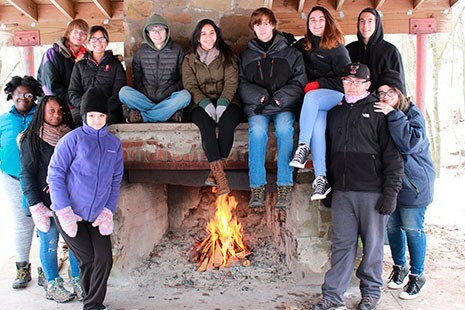 HSC students have opportunities to enhance their academic achievement through outdoor excursions, traveling abroad, and becoming active members of our broader community. At HSC, our students literally and figuratively climb mountains. Starting with HSC’s Freshman Bootcamp in July, students begin the journey of preparing for life after graduation. The first two developmental years, grades 9 and 10, are designed to set the academic and exploratory foundations necessary for students to make informed post-secondary plans. 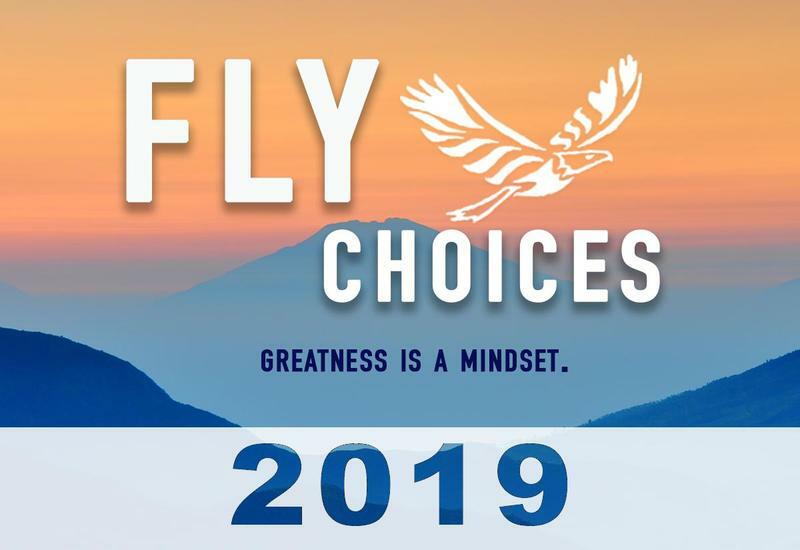 The next two years, grades 11 and 12, focus on college choice and the application process. 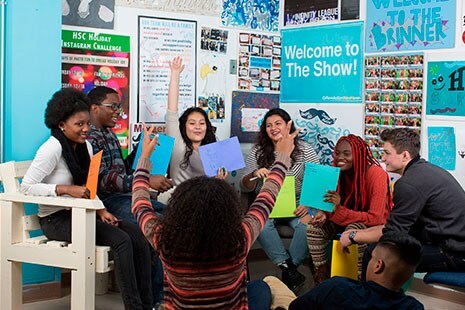 We offer SAT Prep, College Before College courses, individual meetings with school counselors, college-focused events, college trips and countless possibilities for every student to enhance their individual student profiles. Check out this video to learn more about the powerful partnership between HSC & The Future Project . . . 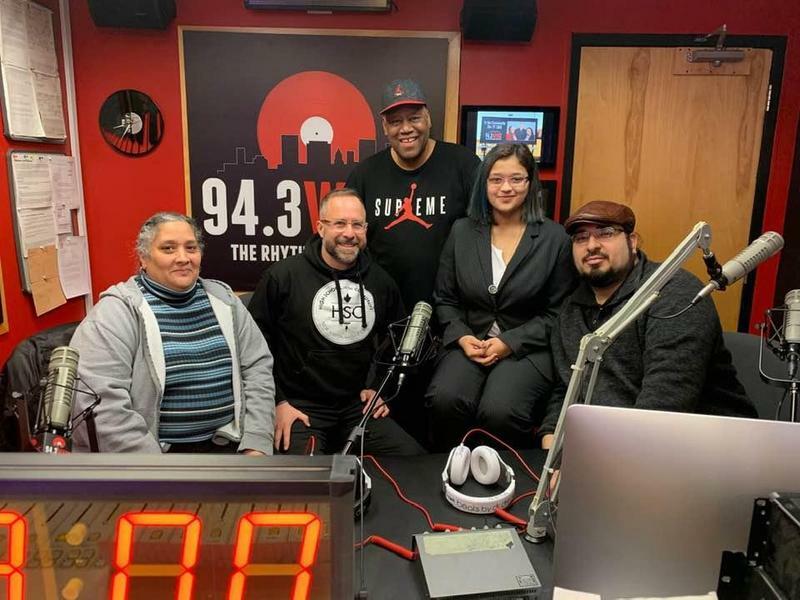 Listen to Lincy talk about why she was named "I Rise Student of the Month"
Welcome to the website for High School in the Community, the small school for students who want to do big things. Our goal is to help all students grow into the leaders our families and communities need and we have an increasing track record of success in accomplishing this task. 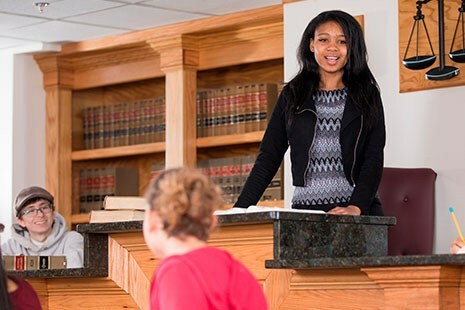 Our students serve as leaders of their own learning both here at HSC and in off campus courses through our neighboring colleges and universities. They gain experience working with dozens of nonprofits and organizations right out our doors in downtown New Haven. They start their own campaigns and efforts to solve local problems, travel to foreign countries to examine global issues from new perspectives and collaborate side by side with staff daily to design and build a school fit for the 21st century. 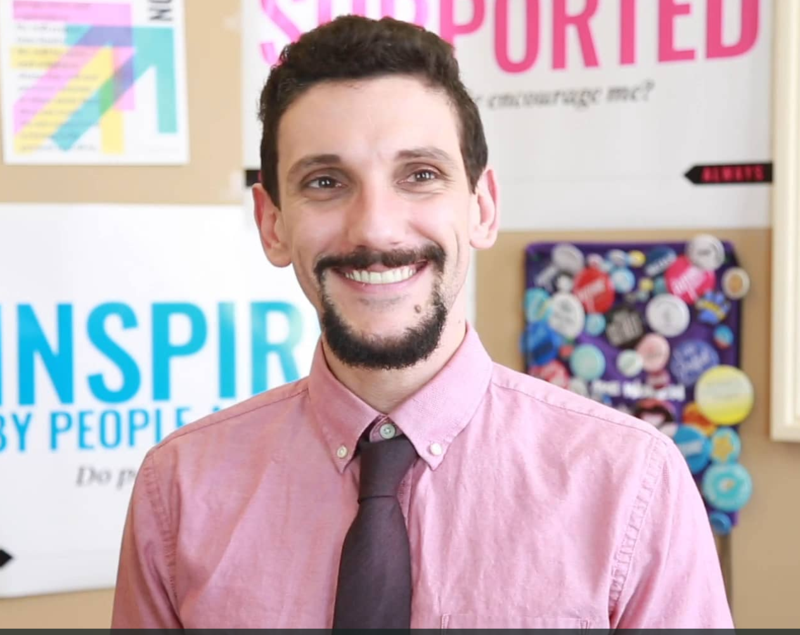 HSC has a unique relationship with the New Haven Federation of Teachers, which serves as the operator of the school and provides management oversight and broad support towards our mission. Our teachers are passionate, empowered to make decisions as professionals that move the work of the school ever forward. Their voice and ethos animates what we do here as they strive for greatness in their teaching craft and for success for all students. Please use this website as a place to learn about our school and what we do. For prospective students and families, explore and find out if HSC might be a place for you. Use the "Meet Us" menu to get more info and schedule a tour! For current members of our HSC family, utilize this site as a way to get all the best we have to offer. Connect with staff, learn about upcoming events, familiarize yourself with our activities and culture. We are small, but we have an amazing array of opportunities to learn and grow. Welcome one and all!